Amazon Video is the name given to Amazon’s TV show and movie streaming application and service available on multiple devices. It comprises two elements; there are thousands of films and TV box-sets to rent or purchase digitally, which you pay for on an ad hoc basis; there is also Amazon Prime Video, a subscriber service that offers thousands of other TV shows and movies to watch as part of a Prime membership. Those with Prime Video get access to all the platform’s original content. 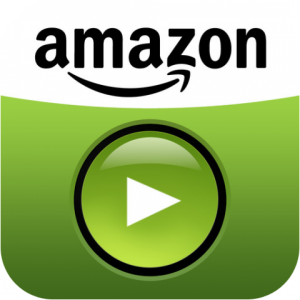 Amazon Video provides users with a library of all paid-for content. A subset of these titles are available for free streaming for Prime members. Amazon Video content, Prime or otherwise, can be viewed on any internet-connected PC or Mac through an internet browser. Simply go to the Amazon Video Store, rent or purchase any movie or TV episode, and watch instantly. Moreover, Amazon Video is compatible with hundreds of HDTVs, Blu-ray players, set-top boxes, gaming consoles. Amazon Prime members can stream thousands of Prime eligible movies and TV shows at no additional cost. 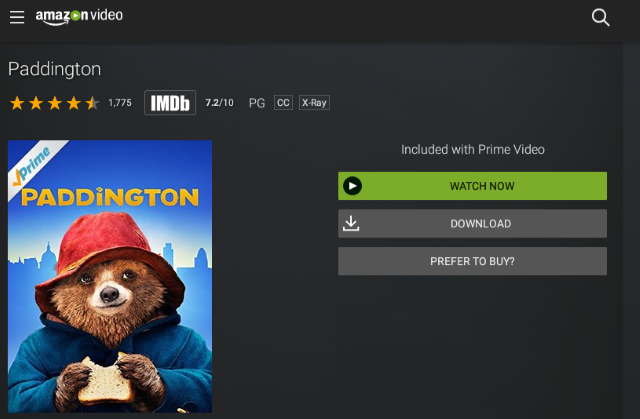 Blu-ray players and streaming media players can also connect to the internet and stream Amazon Video titles directly to your TV. You may wonder how to download any Amazon video to watch in blu ray player without WiFi – or save them to watch after they have “expired” (or your rental ended)? You’ll need a subscription to Prime Instant Video plus a tablet or phone to download videos. Supported devices include Amazon’s own Fire hardware, all Android devices and an iPhone or iPad. To download videos from Amazon, you’ll need to get the Amazon Video app. It’s free, and is available for both Android and iOS. Once downloaded, you’ll need to launch the app and log in with your Amazon details. You’ll now see all of the TV shows and Movies available from Amazon. Be warned that not all instant videos are part of your Prime subscription. Look out for the Prime banner in the top right corner of the show’s image to make sure you won’t be charged extra to watch. Not every video is available to download, but it’s easy to see which are. Click a show or movie you’d like to watch and look for the download button. Once downloaded, you’ll be able to find your movies and TV shows in the downloads section of the app. Now the last thing you need to get ready is a Blu-ray Player program. 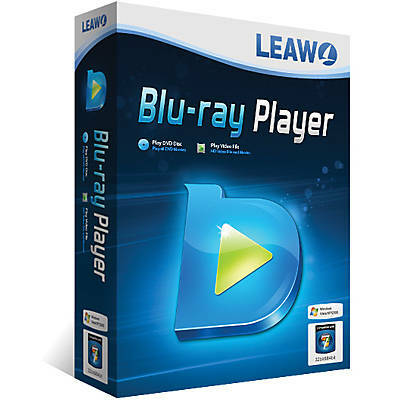 Leawo Blu-ray Player is highly recommended as a Amazon prime video blu ray player. Though its name might make you think that this tool has been made exclusively for playing Blu-ray discs, Leawo Blu-ray Player is actually can be used as a simple video player that can play Amazon video in lossless quality. And it can also capable of playing videos from DVD discs, from ISO images, from local disc folders, and from local standalone multimedia files as well. Furthermore, though it’s a free tool, it’s also comprehensive and powerful, being capable of playing up to 1080P HD videos. Selecting specific subtitles and tweaking the parameters of the video and audio streams are also possible. It’s also worth mentioning that this feature-rich tool supports playlist, custom skins, and a large variety of video file formats. This free Amazon video blu ray player is also a low-CPU occupying media player. 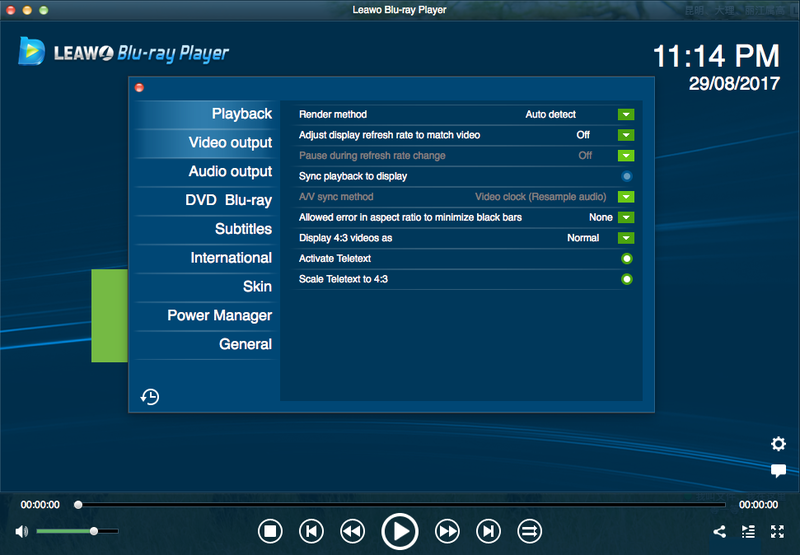 With unique image and audio quality enhancing technology, Leawo Blu-ray Player can make you feel in the theatre at your own house. Full playback navigation, practical power manager, virtual remote control upon disc menu, various video, audio and subtitle settings, all these make your movie time more enjoyable. Step 1. 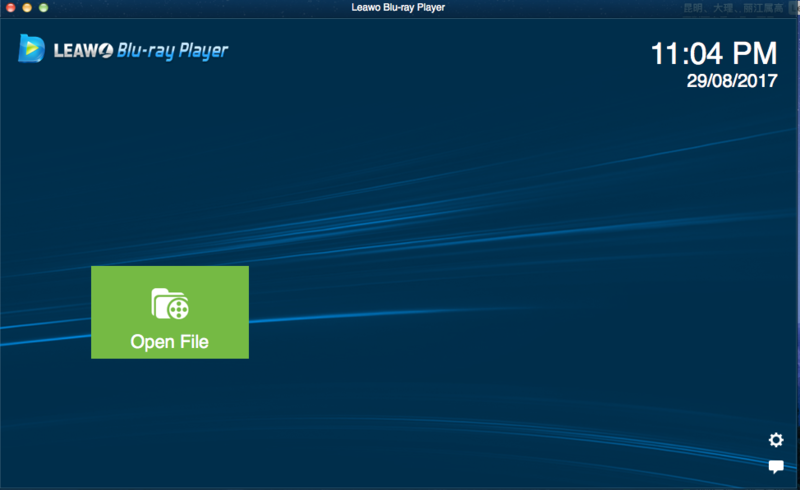 Free Download Leawo Blu-ray Player and install and run it on your Mac/PC. Then launch the program to open the main interface. Click “open file” to browse the Amazon video to playback. Step 2. On the main interface, you could see a gear button on the bottom right corner, by clicking which you could enter the program settings panel. Here you can conduct Video setting, Audio setting and Subtitle setting. You could make use of some functional buttons on the playing panel to perfect visual experience. These include: full-screen playback, volume control, fast-forward button, fast-backward button, Next button, Last button, Subtitle selecting button, Video setting, Audio setting, and Main menu button. Step 3. Start to enjoy your Amazon video. 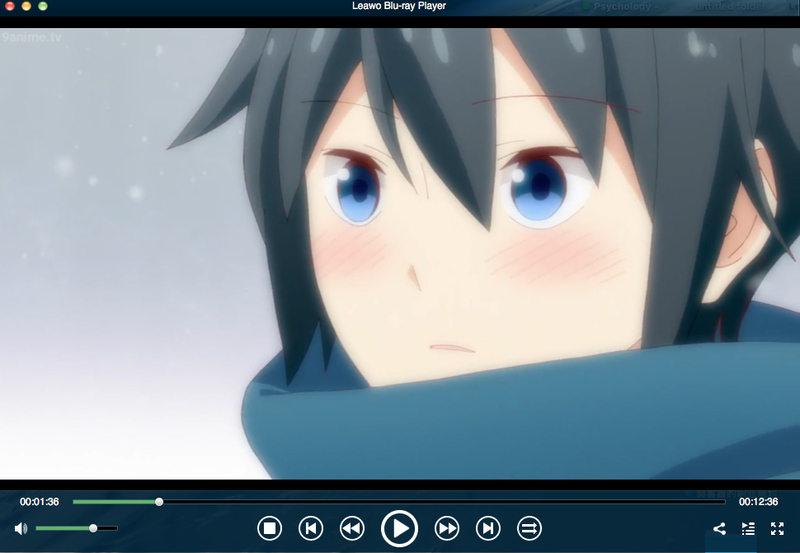 After adding Amazon video file, the player will start to play it automatically. You can now enjoy you movie! For more information, here are 5 best free Blu-ray Player software that you shouldn’t miss and all of them can ensure you a better Amazon video watching experience anytime offline.